The Monroe is a simple, raised panel door found in the Conestoga (CWS) Statesman Collection. This door model features an Elite framing bead profile & a 2-3/4″ wide frame, which gives it a ‘heavier’ feel. 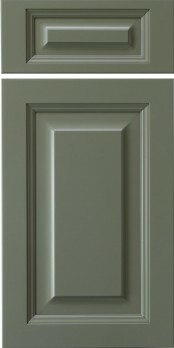 To optimize this door for painted finishes, CWS created the Monroe (MDF) door. Similar to its wood door brother, the Monroe (MDF) also uses traditional five-piece mortise & tenon joinery, but is constructed of full MDF, making it perfect for all painted finishes. All 3/4" profiles available, except the P-106.